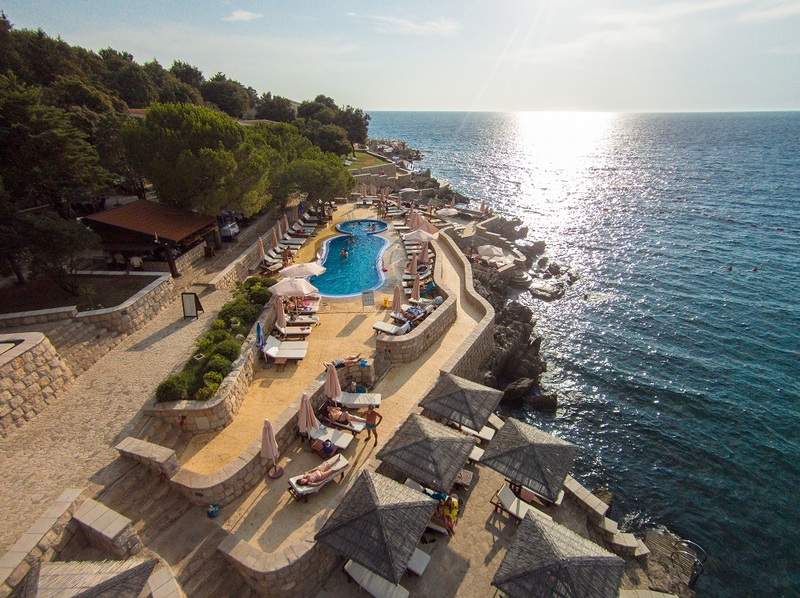 Commune with nature at The Wind Rose Resort, by Karisma, a 21st century luxury hotel in Dobra Voda, one of Montenegro’s most stunning settings. Our dedicated staff provide exceptional service in every corner of the resort – from your contemporary guestroom, to the magnificent private beach. 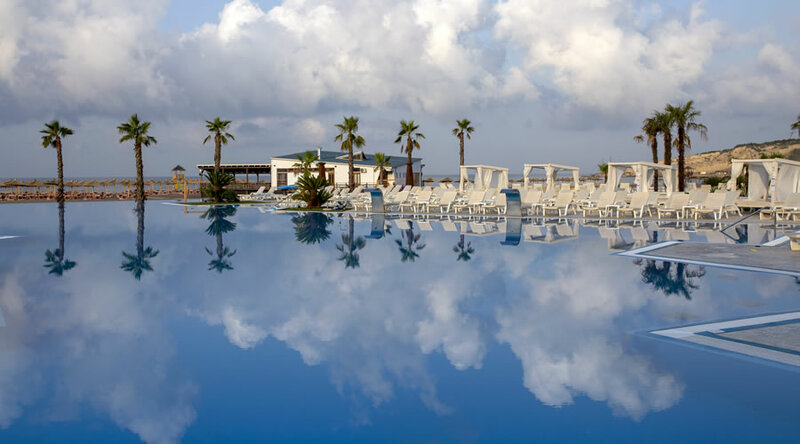 The resort showcases a selection of terrific, exclusive and authentic restaurants with mouth-watering dishes and hip poolside bars, and for our young guests, a private zoo, Kid’s Club and a playground. When it comes to relaxation, at The Wind Rose Resort, by Karisma you're spoilt for choice. Enjoy two salt water pools, panoramic terraces or spend some 'me' time at the contemporary Wellness. 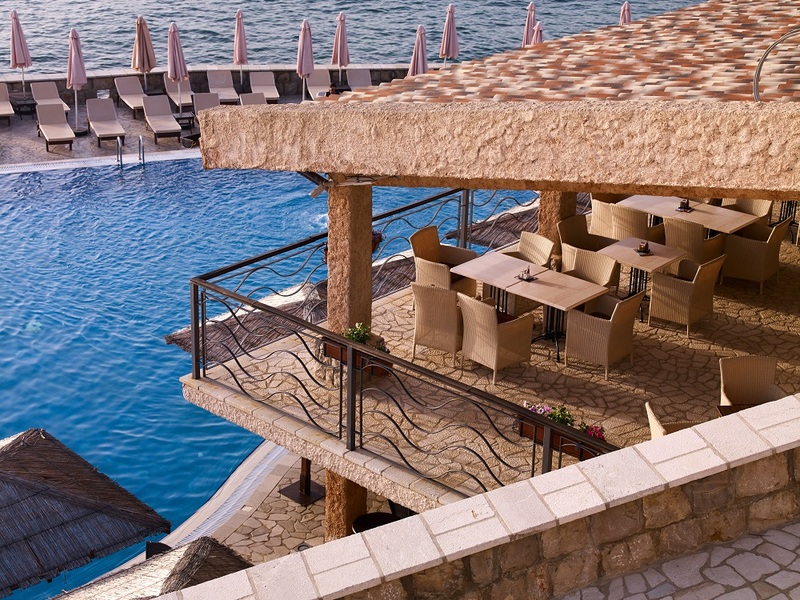 When the sun sets, it’s time for drinks at our Night Club where you can soak up Montenegro’s inimitable energy. 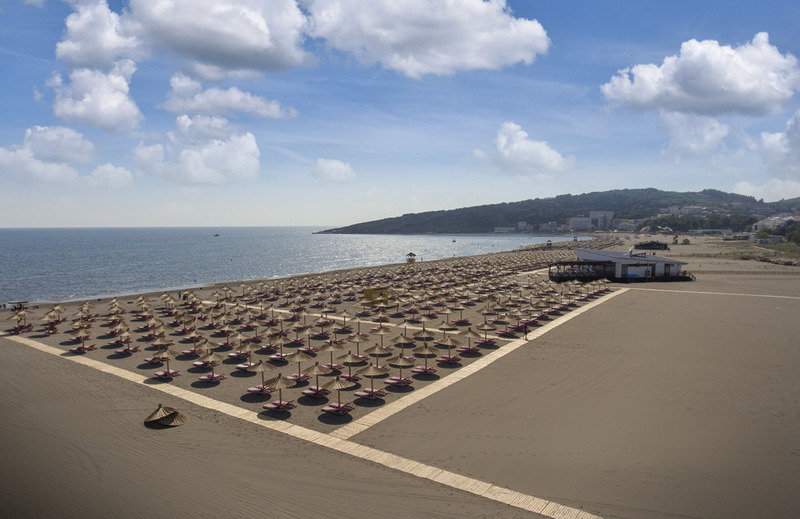 The Wind Rose Resort, by Karisma is a 1 minute walk from the beach. It’s great location allows guests to fully experience everything Montenegro has to offer – from ancient Bar, Lake Skadar, Ada Bojana to cosmopolitan Porto Montenegro and the Croatian Riviera. This family-friendly resort provides the highest standards of comfort and an unmatched travel experience at a unique location where a myriad of benevolent winds come together. This season, come and relax in style and serenity. 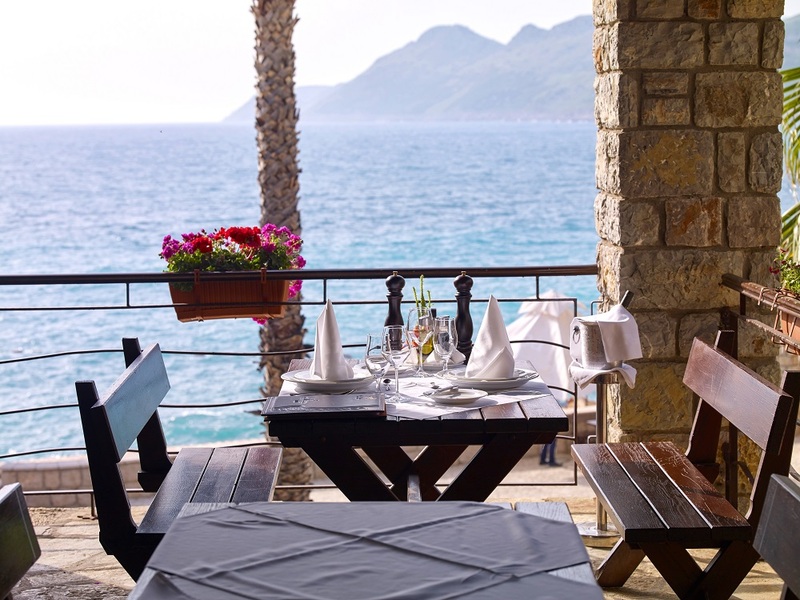 MEDITERRANEAN RESTAURANT Experience our unrivaled passion for the culinary art in the sunny Mediterranean Restaurant offering lovely international buffets and a sumptuous a-la-carte menu. This hedonistic space with panoramic views of the sea blends modern design and lively ambience and adds a spoonful of decadence to your holidays. We also serve a wide range of phenomenal wines to complement your meal. The restaurant can accommodate 80 guests. BEACH BAR Our two Beach Bars are the perfect place to let your hair down. Take in the views of the big blue and enjoy smooth, upbeat live tunes, handcrafted cocktails, sparkling wine, good beer, light bites and delicious desserts. The fashionable bars seat 140 and 80 guests respectively, and encompass two terraces. Wellness Give in to a delightful, deeply-relaxing experience or spoil someone special at our contemporary Wellness. We will be more than happy to arrange treatments and massages delivered by skillful beauticians and masseurs. Going beyond pampering, our famous outdoor massages will fully immerse you in nature - feel the caress of the warm sea breeze, hear the birds and the hypnotic waves, and drift away to another world. Recreation The Wind Rose Resort, by Karisma provides plenty of excitement for thrill-seekers. Take full advantage of the wonderful locale and go fishing, snorkeling or swimming, or cycle and run in the shade of fragrant trees. Feeling competitive? Join our sports activities! Dobra Voda is a great area for you to visit with friends or family, team up for volleyball, football, basketball, tennis or ping pong. 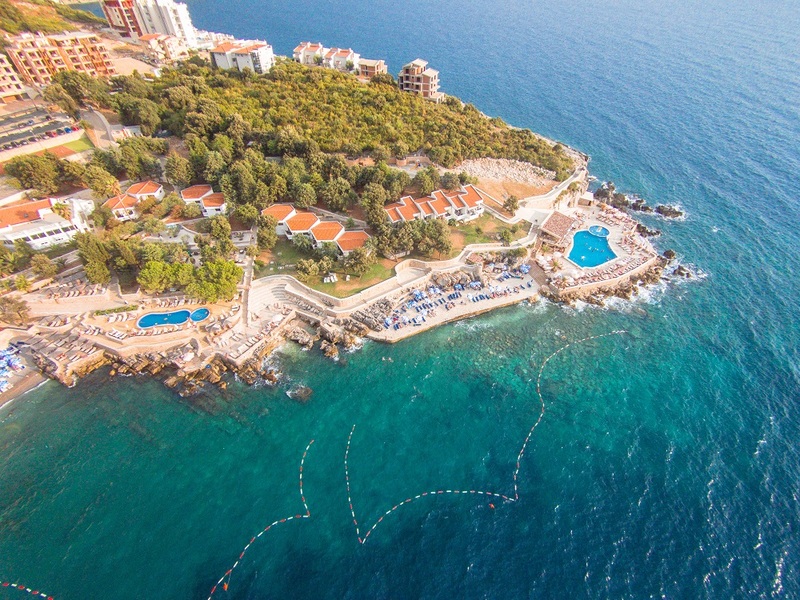 Beach & Pools Feel replenished and exhilarated – there’s a multitude of ways to keep yourself entertained at our private beach, sunbathing plateaus and stone pier. The sparkling unspoiled Adriatic Sea changes tones from cerulean to emerald. Stay fit and have fun in our two outdoor pools with jets and hydro massage and sip our healthy juices at two swanky pool bars at The Wind Rose Resort. These charming pools with crystal clear sea water and a designated kids’ area are perfect for families. metics.